Barbara Ann Underwood of St. James, Mo. passed away at the Columbia Medical Center in Columbia, Mo. on Monday, March 26, 2018. She was 75 years, 1 month and 2 days of age. Barbara Underwood was born on February 23, 1943 in St. James, Mo. to her parents: Clarence and Dorothy Shuey Norris. Barbara Underwood was united in marriage to Leland Joseph Underwood on October 10, 1959 in St. James, Mo. Barbara Underwood was a loving wife, mother and grandmother. Barbara enjoyed reading books and crocheting. She enjoyed when the holidays came around especially Thanksgiving and Christmas when the family could be together. She will be greatly missed by all who knew and loved her. Barbara Underwood is survived by her mother: Dorothy Norris of St. James; husband: Leland Joseph Underwood of St. James, Mo. ; two sons: Randy Underwood and wife Joyce of St. James, Mo., and Gary Underwood and wife Debi of St. James, Mo. ; brothers: Marvin Norris and wife Mary of St. James, Mo. ; Warren Norris and wife Patty of Licking, Mo. ; sisters: Janet Colvin and husband Lenny of St. James, Mo. ; Brenda McGranahan and husband Jim of Kentucky; Linda Carlton of Rolla, Mo. ; Karen Carter and husband Bill of Licking, Mo. ; step granddaughter: Lea and step grandson; Mario. Preceding Barbara Underwood in death is her father: Clarence Norris; brothers: Donald Norris; Dale Norris; David Norris and Wayne Norris; sister: Debbie Loughridge; and June Edmond; nephews: James Shields and Danny Underwood. Visitation for Barbara Underwood will be on Tuesday, March 27, 2018 from 6 to 8 PM at the Jones Funeral Home in St. James, Mo. 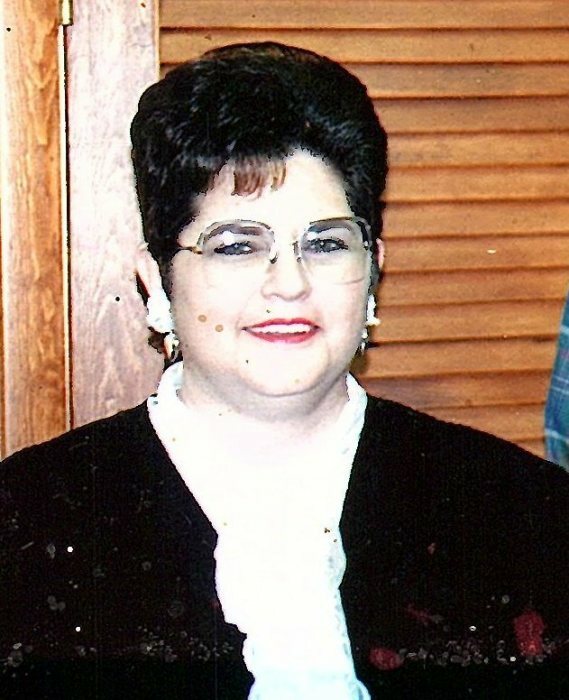 Funeral Services for Barbara Underwood will be conducted Wednesday, March 28, 2018 at 11 AM at the Jones Funeral Home with Craig Rippy officiating. Songs will be Just A Closer Walk With Thee and Precious Lord Take My Hand will be played and sung by Becky Rippy. Pallbearers will be: Justin Hodge, Joe Loughridge, Billy Varner, Dusty Carter, Avery Norris, and Jared Norris. Burial will be in the Underwood Cemetery in rural St. James, Mo.